In a large, heavy skillet over medium-high heat, brown ground beef, and drain fat. Mix in dry taco seasoning. 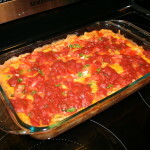 Spoon browned meat into a 9×13 inch glass baking dish. 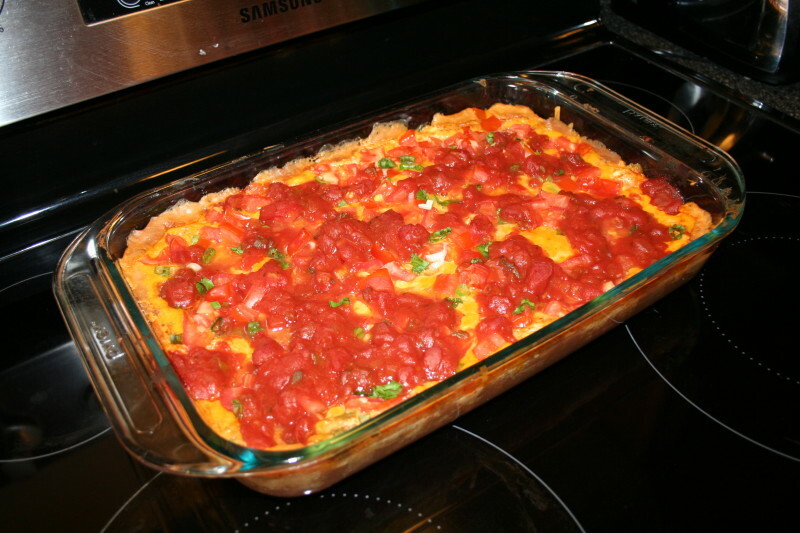 Spoon a layer of refried beans over meat, then sour cream, then salsa. Top with shredded cheese. Bake about 20 to 25 minutes in the preheated oven.